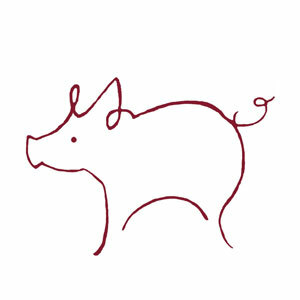 Saturday & Sunday Feb 2 & 3 2 – 4 p.m.
Monday, Feb 4 7 – 9 p.m. 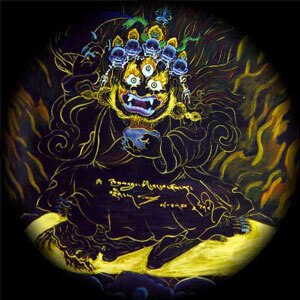 It is a tradition to do this Protector Puja to clear away internal and external obstacles prior to the Tibetan New Year. 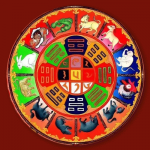 Done with the aspiration to eliminate all that is negative and adverse personally, globally and on our spiritual path, we will pray for the benefit of all beings to enjoy a prosperous and peaceful Year of the Female Earth Pig which begins on February 5th. 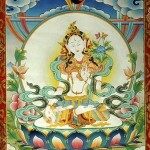 The session on Monday, February 4 will include a Mahakhala Tsok Offering. Please bring a food offering for the shrine. Everyone is welcome to join Acharya Choying Gyurme in welcoming the New Year with chanting, offering of katas and some traditional Tibetan food. Professional cellist, Karen Kaderavek, will treat us to some special sacred sounds. Lama Tenzin Yongdu will be visiting the centre to participate in the festivities. To welcome Losar with generosity, please contribute to our food basket with a non-perishable item. The basket will be donated to the local food bank in Verdun. The Vajrayana Buddhist tradition teaches us that the essence of loving kindness and compassion is already innate within us. In fact, we get a taste of these qualities in those moments whenever our hearts are deeply touched, whenever our activity is unconditionally for the benefit of others. With the aspiration to increase our sense of humanity and altruistic action equally for all beings, the Practice of Chenrezig can deepen awareness of our inherent loving kindness and compassion — and ultimately awaken us to our Buddha nature. 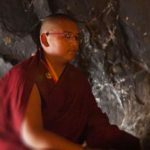 Acharya Choying Gyurme will take us through the Chenrezig sadhana (liturgy) explaining how to take the Practice on our spiritual path, and into our daily lives. If these amounts are not convenient, please give whatever you can. 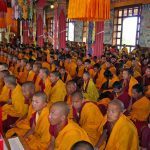 10:30 a.m. – noon & 2 – 4 p.m.
A comprehensive foundation for the study and practice of Tibetan Buddhism, this teaching clearly outlines the ground, path and fruition of Buddhadharma. 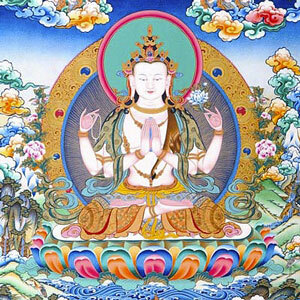 The topics covered in “The Jewel Ornament of Liberation” are Buddha-nature, finding a spiritual master, impermanence, karma, cultivation of bodhicitta (altruism), development of the six perfections, the ten bodhisattva bhumis, Buddhahood, and the activities of the Buddha. 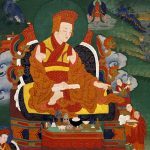 Gampopa was the foremost disciple of the famous yogi, Milarepa, a renown 12th century Buddhist teacher and founder of the Kagyu Lineage of Buddhism. This series of six sessions of teachings is the first of three parts, the second two to be given in March/April and May/June. If these suggested donations are not convenient, please give whatever you can. 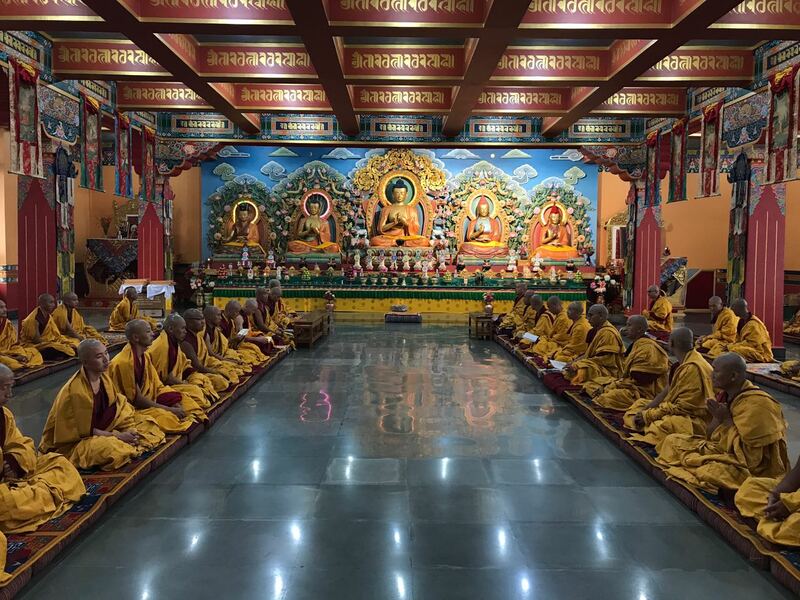 A busy year ahead at Pullahari Monastery in Nepal and Lava Kagyu Tekchen Ling Monastery in India, the Seats of His Eminence Jamgon Kongtrul Rinpoche, both Monasteries guiding the direction of Rigpe Dorje Centre – see schedule at bottom of this message. Although not there and therefore not directly involved, we can still share the blessings and merit of the auspicious activities. 2. and, to Lava Kagyu Tekchen Ling Monastery for the Rainy Season Retreat (Vassa) – a tradition going back to the time of the Buddha, observed during the three-month monsoon season when monks gather for intensive prayers to generate spiritual energy through listening, contemplating and meditating. 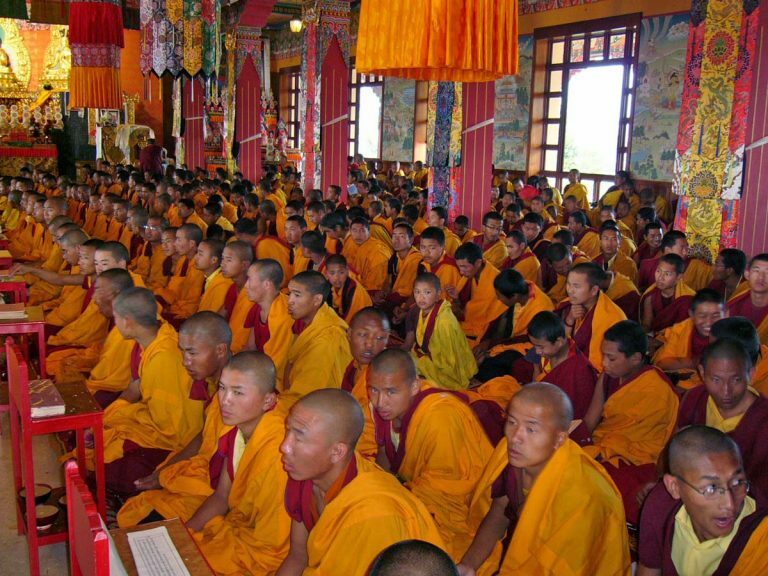 Collectively we will show our devotion and support to the monks during these special events. This was actually recommended by the Buddha to the lay communities at that time. Our goal is to raise $5000. Members and friends of the Centre are invited to contribute whatever is possible — all amounts are appreciated and tax deductible. The donor’s names and donations will be sent to the Monasteries, unless otherwise requested. The deadline for contributions is February 10, 2019 by cash, cheque (to Rigpe Dorje Foundation) or PayPal. You can also contribute to any of the other events listed below with personal donations through Rigpe Dorje Foundation. RIGPE DORJE CENTRE is a project of the RIGPE DORJE FOUNDATION founded by His Eminence the Third Jamgon Kongtrul Rinpoche, Karma Lodro Chokyi Senge and under the spiritual direction of His Eminence the Fourth Jamgon Kongtrul Rinpoche, Karma Lodro Chokyi Nyima. All membership funds go towards the monthly cost of maintaining the centre and hosting our teachers. To benefit from membership while supporting the cost of maintaining the centre, please contact us by telephone or email. It is not necessary to be a member to participate in the Centre’s activities.